Replace your existing TPMS sensors, or choose these sensors when going with a new set of wheels. These TPMS sensors RDE012 are genuine Huf/Beru TPMS, the same ones that came stock on your BMW. 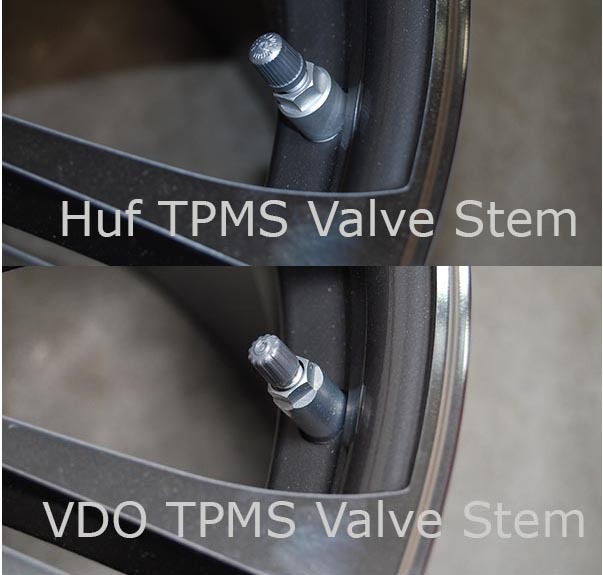 Each order includes TPMS sensors and required valve stems. Many non-OEM TPMS sensors cause errors and don't work quite as well as the OEM ones, so go with a name and sensor you can trust, Huf/Beru TPMS RDE012. Before ordering please verify your exact vehicle is shown below and enter the Month/Year your vehicle was Manufactured on the text box above. Are They Huf or Beru Sensors? 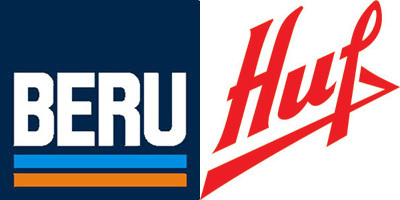 In January 2012, Beru sold their TPMS division to the German auto-electronics company, Huf. The change should not affect you, but the sensors purchased from them will now say Huf on the housing. Not sure about the Huf-branded sensors? The supplier for the sensor may have changed, but remember that they are still 100% genuine OEM parts. The system monitors the pressure of the tires (some cars monitor the spare tire as well) and provides the driver a warning if any tire is under inflated. DO NOT use tire puncture sealant as it could damage the sensor. Removal of the OEM tires can damage the sensor. The sensor must be removed prior to dismounting the tire from the rim. There is a specific procedure for doing this and the dealer and tire shops familiar with TPMS systems should be able to do it properly. Can I install sensors on my new wheels? Yes. You can also swap the sensors from the OEM wheels. Read special precautions above about sensor removal. Not all wheels will accept the sensors. Some aftermarket wheels may be labelled 'TPMS ready', but you will have to verify the sensor will properly fit. New sensors will have to be registered with the vehicle's computer to clear the TPMS light. Tire rotation should not affect the sensors. Worst case, you will get the blinking TPMS and may have to make a trip to the dealer to clear the code.